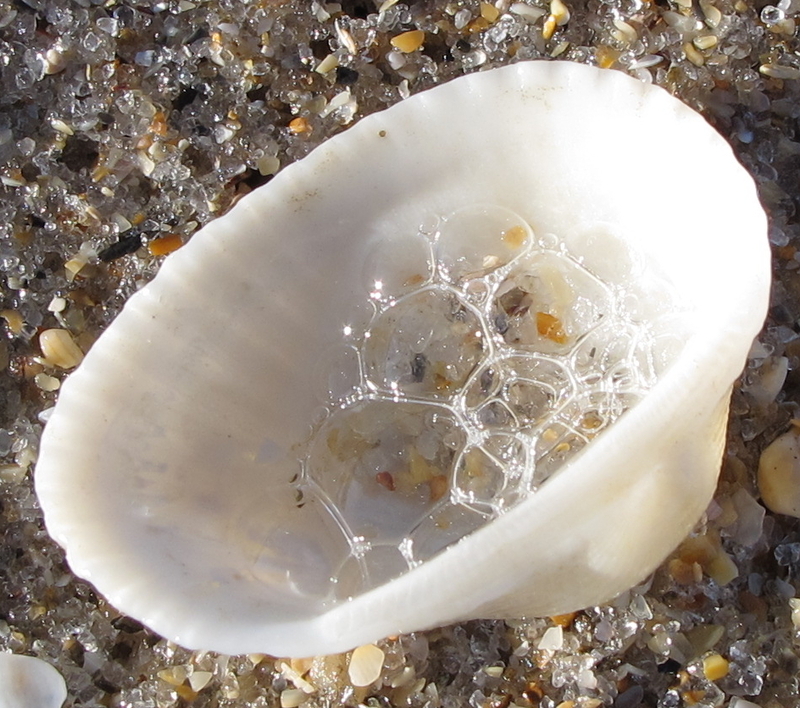 Sea Bubbles in a Tiny Seashell – KeaPOD 65 | KeaNeato! This little seashell is no bigger than the end of my thumb; the bubbles are seafoam. And look how beautiful the sand crystals are. It’s amazing how varied each grain of sand is — so different from what our eyes perceive when we walk down a beach. Photo by keagiles. This entry was posted in beautiful, POD (picture of the day), pretty cool, seashells and tagged photography, sand, seashells. Bookmark the permalink.